July 1: Rhoda Cortez on The Therapeutic Eye of the Waldorf Educator. Keynotes are open to the public. All registration check-ins will be on the first day of each event. Course Fee: $70 Meals: No meals are available with this course. On-Campus Housing: 1 Night $ 80, Check-in Friday June 29, Check-out Saturday, June 30. For additional nights, please contact conf@steinercollege.edu. 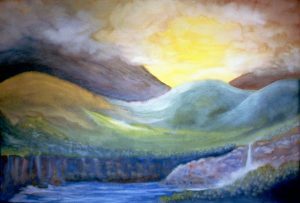 with Betty Staley and Julie MacArthur This is a prerequisite for enrolling in Art of Teaching workshops for any participant with limited understanding of or classroom experience in Waldorf education. Course Fee: $ 680 Meals: 5 lunches $ 73.75; Meals must be pre-ordered through the registration system or they will not be available. On-Campus Housing: 5 Nights $ 400, Check-in Sunday July 1, Check-out Friday, July 6. For additional nights, please contact conf@steinercollege.edu. with Annie Bosque, Tavia Pagan, Becky Page and Lee Sturgeon-Day This introductory immersion workshop for teachers, caregivers, and parents will cover current research in early childhood development as well as Rudolf Steiner’s indications for the kindergarten-age child. More Information and Schedule of the Week. with Stephanie Skinner and Cynthia Aldinger Teachers, caregivers, and parents will gain many insights from this introductory course that covers healthy approaches to nurturing 3- and 4-year-olds who need to move and do! Meals: 5 lunches $ 73.75; Meals must be pre-ordered through the registration system or they will not be available. 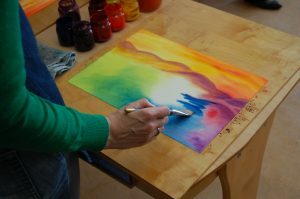 Art of Teaching workshops are professional development refreshers intended for currently practicing, experienced Waldorf teachers. An experienced teacher generally has had training and experience teaching in a Waldorf classroom. Homeschoolers and public/charter school teachers are welcome with the understanding that familiarity with Waldorf terms and principles is assumed. 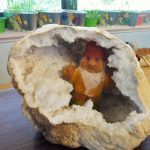 Anyone with limited understanding of or classroom experience in Waldorf education are strongly encouraged to attend Essentials of Waldorf Education on Saturday, June 30, 8:30am-1:00pm. Meals: 1 box lunch included in the course fee. On-Campus Housing: 2 Nights, Check-in Friday July 6, check-out Sunday July 8. Camping: Friday and Saturday night camping in the olive orchard is recommended and an option only for registrants of this workshop. with Rhoda Cortez. Intended for 4th and 5th grade teachers and home-school parents, but open to all. Some familiarity with Waldorf education and philosophical background assumed. The main goal of this hands-on workshop is to prepare middle-grades Waldorf students for higher sciences by enlivening classroom experiences, bringing form to the outdoor classroom, and building the capacity in children for both individual sensory impressions and collective inquiry. Participants are encouraged to camp on Friday & Saturday nights in the farm’s orchard to best experience the physical changes in the field learning environment through sensory impressions. Meals must be pre-ordered through the registration system or they will not be available. On-Campus Housing: 5 Nights $ 400, Check-in Sunday July 8, Check-out Friday, July 13. For additional nights, please contact conf@steinercollege.edu. There are four workshops, one for each grade level. Meals: 2 box lunches are included in the course fee. On-Campus Housing: 2 Nights $ 160, Check-in Friday July 20, Check-out Sunday, July 22. For additional nights, please contact conf@steinercollege.edu. 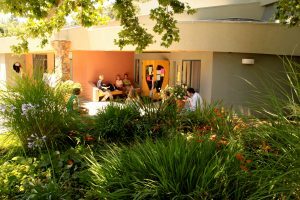 Housing in our fully remodeled on-campus facilities is available during the summer session for workshop participants in packages of 1- to 5-nights as appropriate for each workshop, at a rate of $80 per night, single occupancy only. Each of the eight dorm units have six single-occupancy rooms. Each unit includes a fully-equipped shared kitchen, eating area, small living room space, and two full bathrooms, all of which are available to all occupants sharing a unit. Please select the relevant housing package when registering for your workshops. Space is limited – if there is no availability showing for your workshop, please contact conf@steinercollege.edu for assistance. You may also request additional nights if your travel requires you to come early or stay an extra night. RSC’s housing office can provide a list of local hosts for those interested in staying in a private home (these arrangements are not handled by the housing office). More housing details on- and off-campus: click here. 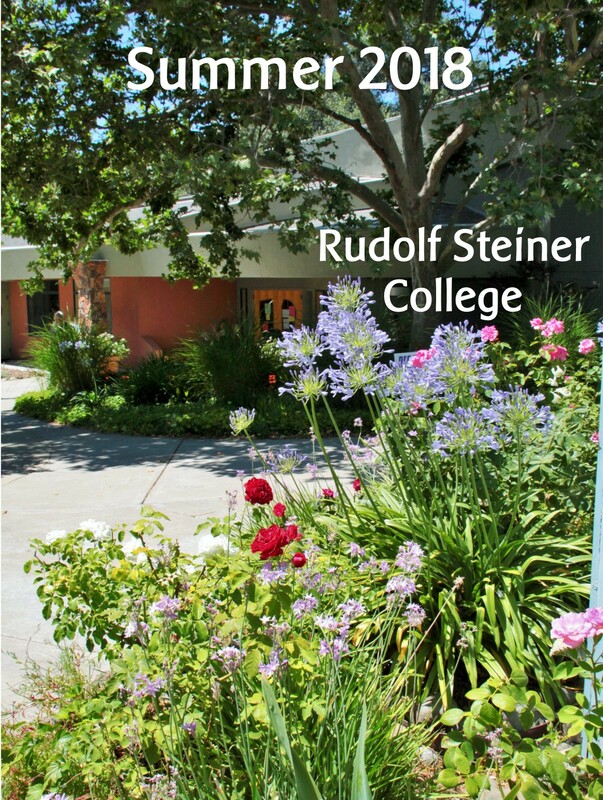 For more information, contact (916) 963-4000 or conf@steinercollege.edu. Cynthia Aldinger, founder of LifeWays North America, author of Life is the Curriculum and co-author of Home Away From Home, is dedicated to the development of healthy childcare and parenting practices. Cynthia has lectured internationally and directs trainings and seminars across the US. She served fourteen years on the board of the WECAN and received her Waldorf teaching certificate at Emerson College in England. Her passion is preserving the playful spirit of childhood and helping create early childhood environments that provide the comfort, security and activities found in a healthy home. Jazmin Aminian earned her Waldorf teaching credits, a certification in bilingual education and generalist teaching K-12, and won a Fulbright scholarship. She now works at Live Oak Waldorf School. Cale Brandley is a practicing singer, saxophonist, composer, songwriter, and a Waldorf class teacher. 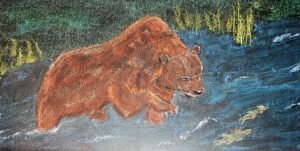 He has taught grades 1-6 and chorus at the Live Oak Waldorf School in the Sierra Foothills. Annie Bosque, MA has a Masters in Waldorf Ed with a focus on creating parent-teacher partnerships. She is lead faculty in Early Childhood Teacher Training at RSC, and leads workshops and conferences. Patti Connolly has been a Waldorf teacher, mentor, and teacher educator for 26 years. She recently mentored at the Creative Education Foundation in Zanzibar, Tanzania, and is a contributing member of waldorfinspirations.com and the Roadmap to Literacy project. Rhoda Cortez, MEd, first became familiar with the uniqueness of Waldorf education during RSC’s Public School Institute in 2006, and immediately began RSC’s full-time Teacher Training Program. With BA degrees in Fine Arts and Child and Adolescent Studies, she completed her Masters in Education — curriculum and instruction of the Arts in education — under the faculty guidance of Crystal Olson, co-founder of the Public School Institute. Her thesis focused on the universal social themes embedded in arts-rich curriculums and the role of the Arts in a democracy. Rhoda began teaching at Cedar Springs Waldorf School before transitioning to the publicly-funded Waldorf setting. She earned a state credential while leading her class at Golden Valley Charter School. Areas of current professional interest include creating circles of collaborative leadership, empowerment by developing the active inner life and therapeutic-eye of the teacher, drawing from all school stakeholders to build collective social engagement around school climate and community life, and exploring how the home surroundings and natural science curriculums of the lower school can help meet the diverse gifts and needs of children present in our classrooms. Laura Embrey, MA has a Waldorf Teaching certification from RSC, a CA teaching credential, and a B.A. and M.A. from the UC Berkeley. A teacher for 36 years, she is now pedagogical chair at Camellia Waldorf School. She has worked with form drawing as a class teacher, high school teacher, and in teacher training courses for 22 years and has published six books on the topic. Chris Kelly has been teaching children, adolescents, and adults for 45 years. She has a BA in Greek and literature, and graduate studies in linguistics, humanities, and education. She received her Waldorf certification from Antioch University New England. After just promoting a Grade Eight class at the Desert Marigold School in Phoenix this year, she will return to her cohousing in Sante Fe and resume her professional mentoring and development practice and begin researching a book about community-building in an igneous world. Justin Ganz is the director of Transformative Movement Ed at Meristem, a graduate of Spatial Dynamics Institute, for 20+ years has shared his joy of teaching movement education in Bay Area Waldorf schools. Jennifer Knighton worked in Waldorf schools as a grades teacher for twenty years before her beautiful son came into her life. She holds a BS in Elementary Education as well as her Waldorf Training certificate from Antioch University New England. She also graduated from Christian Boele’s The School of Uncovering the Voice training, and from the Spatial Dynamics Institute. Julie MacArthur, MA English, Breadloaf School of English, Middlebury College; Eurythmy Training, Rudolf Steiner College. Julie has served as a teacher and curriculum director for grades 6–12, administrator at a start-up middle school, and trustee at a pre-K and Kindergarten International School of Peace. Ari Magruder, BA in Art Education and French Literature, CSU; Waldorf Teacher Education Certificate, Waldorf Institute of Southern California. Ari was a class teacher at Cedar Springs Waldorf School for ten years. She has been the the Lower School Support Teacher at Sacramento Waldorf School since 2005. Monica Marshall, MEd, a teacher for 36 years, taught with the Inkanyezi group in South Africa and at Antioch for 13 years. This is her 16th year teaching in the summer at RSC. Tavia Pagan focuses on Waldorf kindergarten’s support of fine motor development, completed her 7th year of teaching in Waldorf and taught 4 years in public, and has a Master’s from RSC. Becky Page, MA is in her 10th year of teaching Kindergarten at Golden Valley Charter School. She completed her Master’s from RSC with a focus on the benefits of music in the kindergarten. 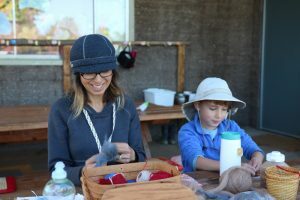 Stephanie Skinner, MA began working as a Waldorf educator 20 years ago, a teacher-trainer in RSC’s early childhood program, and currently teaching at Live Oak Waldorf School in Applegate, CA. Betty Staley, Waldorf educator 50 years, founder of Sacramento Waldorf High School, taught history and literature. Director of Waldorf High School Teacher Education Program. Lee Sturgeon-Day is a counselor, co-founder of Center for Social Development and Lifeways for Healing Education, has led workshops since 1975, and teaches Waldorf teacher training programs. Ryan Sutton, MEd has his Waldorf Teaching Certification from Rudolf Steiner College, a Masters in Education as well as a BA in Communications from St. Mary’s College. Ryan has been an upper grades specialist for the past 10 years at Golden Valley Charter School and is currently teaching his fourth class. Isabelle Tabacot has been a Waldorf educator for more than 20 years, teaching in various education programs at Rudolf Steiner College, in the Bay Area, and in Montrèal, Canada. Click below for 2-page Brochure.